Android has dominated the smartphone market like no other OS has been able to. Recently Sundar Picchai stated that 8 out of 10 smartphones in the market run on Android. This paints a vivid picture of the hold that this highly nimble operating system has on our favorite gadget. Most users believe that Google Play Store is the hub for all the best Android apps. 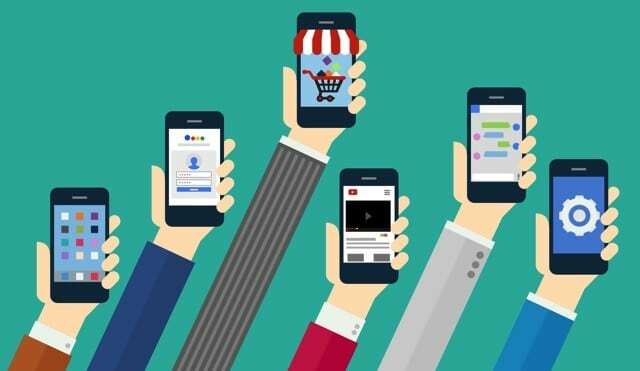 While this might be true to a certain extent, the play store does have more than 1 billion highly satisfied users after all; there are some very useful apps that have not made it to the Google Store. Despite their versatility and usefulness Google refuses to publish these apps, as they do not comply with some of the exhaustive lists of Google’s policies. Here is a list of 5 such awesome android apps not available on Google Play store but getting them would add to your Android experience. Ever wished that you could get all those cool apps on your smartphone which are available solely for tablets? Here is an app that would fulfill your wishes in mere seconds without you spending a penny. Market Helper can completely obliterate the limitations caused due to compatibility. If you are looking to download Viber from the Google Store and are unable to do so on your Nexus 7, go ahead and convert your rooted phone into a Samsung Galaxy S3 and download the app. The app does not require you to reboot your phone in order for it to take effect. 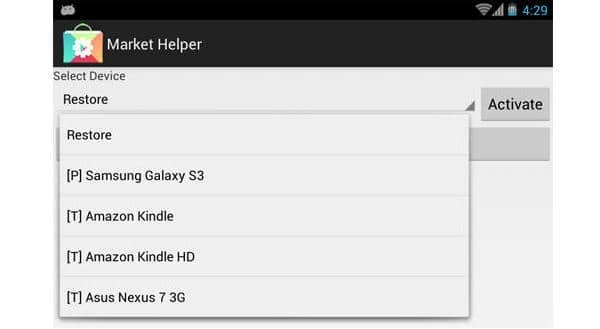 Market Helper can virtually convert your handset to any other device of your choice. It is very safe as it does not touch, build, or mess with any system files. It does require a rooted phone though. The alterations to your phone personality through Market Maker might be immense but they are by no means permanent, a simple restore or a reboot will get back your tried and tested handset in a jiffy. Here is the ultimate app for the control freak in you. If you have rooted your phone and are still not happy with the things that you can control on it then this is the app for you. Lucky Patcher allows you to modify app permissions, you can even circumvent license verification that a norm with most premium applications. Sounds cheesy, right? Let us assure though, despite its name there is absolutely nothing fluffy about this splendid app. 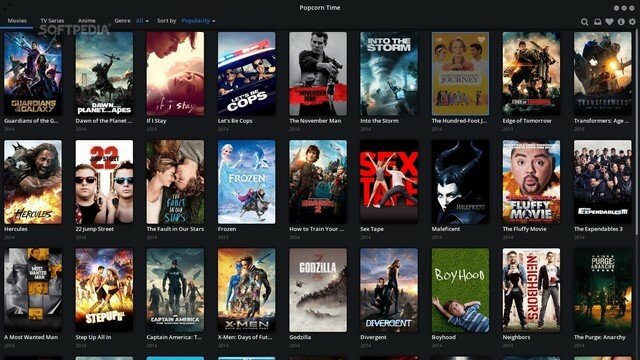 Installing Popcorn Time is a breeze as it does not even need you to root your device. You can enjoy the latest and most popular movies and TV shows with this app. Anime is another category available for those who are interested in the genre. This is a highly customizable app wherein the user can even control the download speed and the total number of connections. The look and feel of the app can be also be adjusted through customizable colors and font size. It is possible to use this app securely through the built-in VPN option available. A good bandwidth is all that is required to get this Torrent based app working beautifully. It is to be understood that Torrent based apps should be used only if the laws in your country permit them as their movies might or might not be legal. There are some of us who would find the notion of awkward little creatures inhabiting the earth, fighting, and challenging each other highly ridiculous. However, there can be nothing more exciting for a staunch Pokemon fan than the challenge of catching a Pokemon and then training it to combat its enemies. This is what the app Pokemon Tower Defense offers. In this widely popular game Pokemons gain experience through their fights with each other and also learn new moves and get stronger as they travel up the various levels. Fighting with Pokemons trained by other trainers is also possible giving this game the same feel as the highly popular, long running, Pokemon series while the fact that you are actively involved in the entire process makes it all the more appealing. MIUI may not be very popular outside the Asian subcontinent but it is one of the most popular and standard feature of the Xiomi phones. 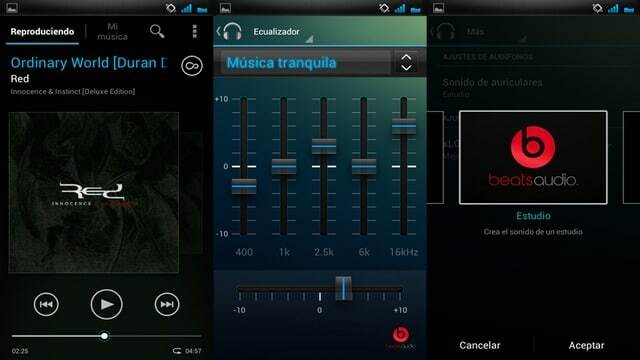 The App is an amazing combination of a music player which lets you search and download music for free on your smartphone. Imagine the Spotify Premium without having to pay a cent for listening or downloading your favorite tunes. If that wasn’t good enough, the app also allows you to download album artwork and lyrics for all the song automatically. The app can literally turn your phone into a Karaoke system as it can sync and play the music with streaming lyrics on its beautifully laid out UI. ALSO SEE: How To Get Paid Apps For Free On Android, Legally! These are some super cool apps that users solely dependent on Google Play Store are missing out on. There are several other good apps which despite their utility are not published on Play Store. The average user utilizes a tiny percentage of the vast possibilities that a smartphone has on offer. Root your device in order to open a world of immense possibilities. Rooting, if done the right way is fairly safe. Once your device is rooted it is possible to download these superb apps that would provide you more control on your device and increase the entertainment quotient immensely.